In the tables below we compare our rates against other paydaylenders’ standard charges, using two loan examples. See how much you can save with SMARTCASH. 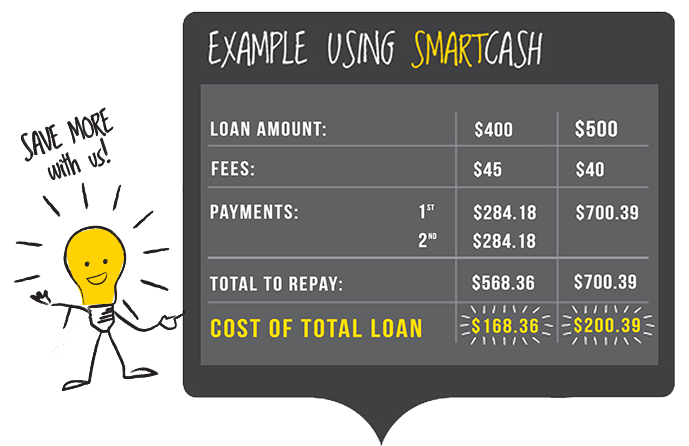 With SMARTCASH you pay the lowest interest of any online payday lender in New Zealand. You should check out all of the fees that other lenders charge, such as a fee for a copy of your loan contract. At SMARTCASH, you pay us no additional fees, providing your repayments are made on time.